For a little more heat, add a few crushed red pepper flakes or hot sauce to this satisfying, flavorful soup. Serve with canned Mandarin orange segments and pineapple chunks. 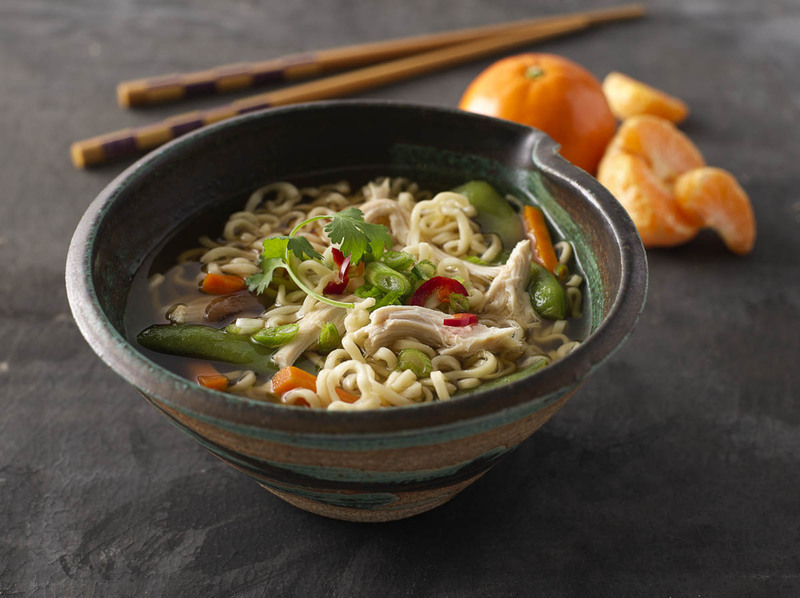 Break noodles apart into a large saucepan. Add the seasoning packet, chicken broth, chicken, vegetables, soy sauce, ginger, and sesame oil. Bring to a boil, stirring occasionally, over high heat. Reduce heat to low and simmer, uncovered, stirring occasionally to break up the noodles, for 5 minutes. Sprinkle each serving with green onion.